Almost all agricultural seed is coated with some material to either guarantee or enhance germination, plant growth, and yields. 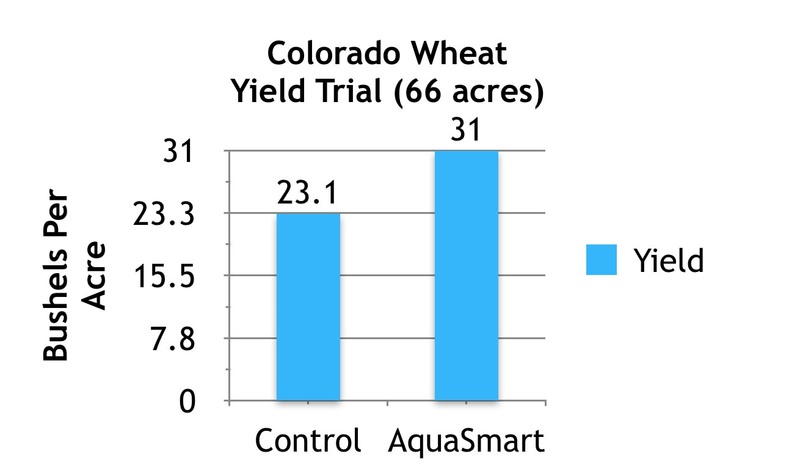 AquaSmart™, using its unique and patented agricultural seed technology, has focused on the same concerns of incrementally increasing germination, growth, etc. 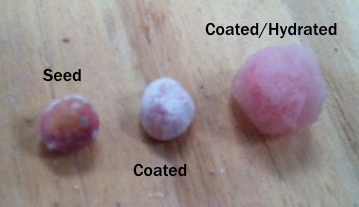 ; by creating a unique water absorbing seed coating that will retain as much as 12 times its weight when watered. It has combined this water absorbing capability by adding a naturally occurring nutrient material to the coating. Essentially, the benefits of this new technology and product are increased and more rapid germination of various crops, more robust root zone zones, greater and more healthy plants and stalks, all lead to the main objective which is increased crop yields! Several large agriculture companies have conducted exhaustive tests on several crops with this new coating technology and crop yield results (based on the type of crop, the climate, and soil conditions) have been positive and compelling.